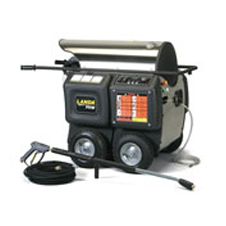 Landa’s electric-powered, diesel/fuel oil heated line of hot water pressure washers is rugged, durable, and versatile. We offer a broad selection of electric-powered hot water pressure washers to meet all your cleaning needs, indoors or out, with choices that range from economical to industrial strength. 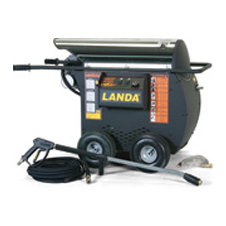 Whether you have a need for a portable or skid-mounted unit, Landa has got you covered.